Along with France and the rest of the world, we are devastated by the April 15 fire at the Notre Dame Cathedral in Paris. Due to structural damages, there are currently some restrictions in the area. Please contact us at any time if your travel plans are affected. A symbol of Paris and the French people for centuries, Notre Dame Cathedral was tragically damaged in a fire on April 15, 2019. Despite structural devastation in parts of the building, Our Lady of Paris’ famous facade remains. 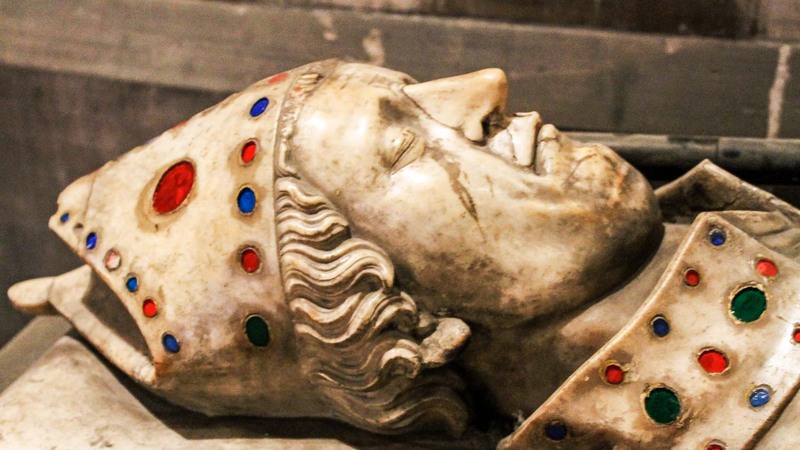 GetYourGuide has canceled and refunded all bookings for tours that bring visitors inside the cathedral through the end of June 2019. Bus tours, river cruises, and walking tours in the surrounding area, Ile de la Cité, remain available to travelers as a great way to enjoy Notre Dame’s stunning exterior. To support the French Heritage Foundation’s efforts to restore Notre Dame to its former glory, find information on how to donate here. 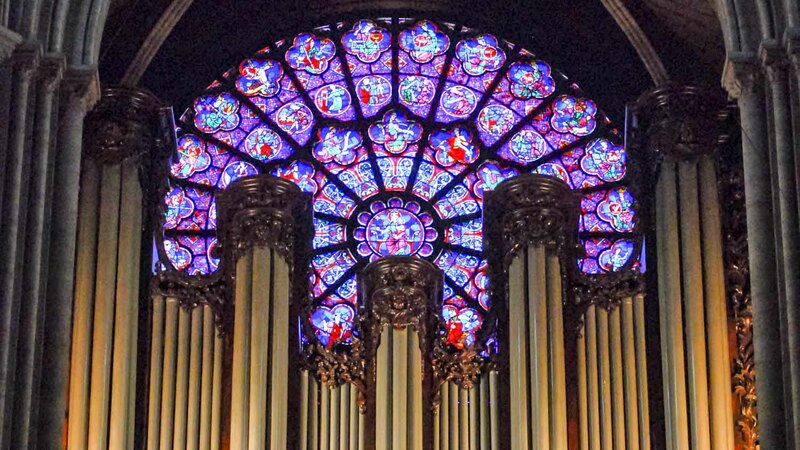 Enjoy an exclusive guided tour about the Notre-Dame Cathedral where you will learn about how it will be rebuilt and why it must be protected. This Gothic masterpiece took almost 200 years to build, surviving the French Revolution, Huguenots, and World War II. While the cathedral has undergone continuous restoration over the years, a fire in April of 2019 burned down significant portions of the building. While the cathedral’s famous facade remains, many of its iconic features were lost in the blaze. Here are some of the structural details that made Notre Dame a symbol of France around the world. Placed all around the facade of the building, the phenomenal attention to detail in each of these statues has long caught the eye of visitors from around the world. Unfortunately, the fate of the gargoyles is unclear after the fire. 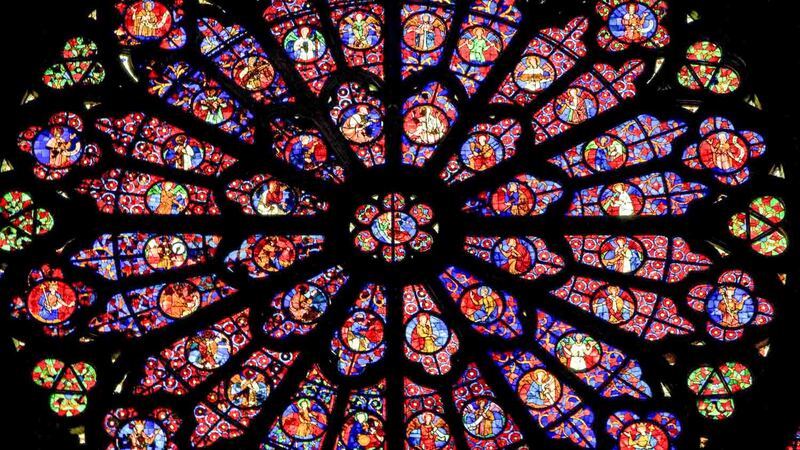 One of the iconic features of the cathedral, Notre Dame’s rose windows managed to escape the fire relatively unscathed. While previous fires had caused damage, most historians agree that these stained glass windows are salvageable. Among the most intricate features of the cathedral, Notre Dame’s pipe organs are incredible constructions themselves. The church’s main organ has five keyboards and is one of the most famous musical instruments in the world. Untouched by the 2019 fire, the pipe organs will continue to play music for years to come. As the home to some of the Catholic church’s most famous and important relics, Notre Dame has become a place of pilgrimage for people of the religion. From the piece of the cross from the crucifixion of Jesus to a gilded crown of thorns, these relics managed to survive the fire. Made famous in literature by Victor Hugo, the cathedral’s stunning belltowers are some of its most iconic features. While the belltowers are considered to be safe, the fate of the bells themselves is unclear. Admission to Notre Dame is free, but visitors will need tickets to enter the tower (€8.50) and the crypt (€6). Access to both is included in the price of the Paris Pass. The closest Metro stop is Cité on the Metro 4 line. How many steps is it to the top of the tower? 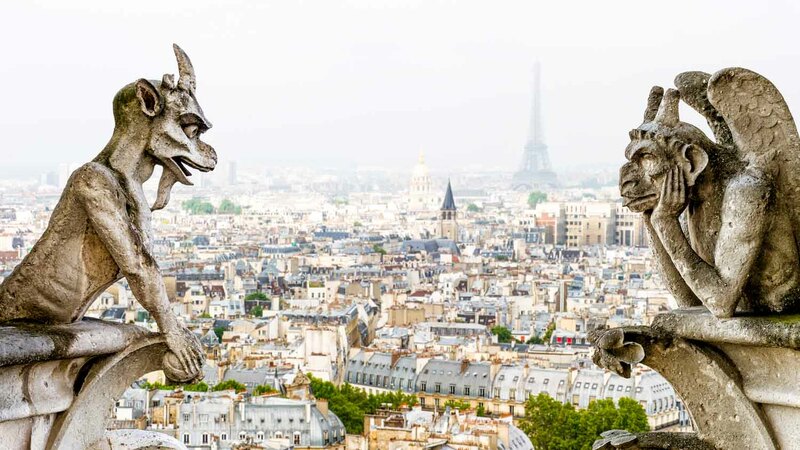 There are 387 steps to reach the panaromas over Paris and see the gargoyles up close, so it's best to know your physical limits. "On Sundays, all masses are held at the main altar. Arrive at least 10 minutes before the start time to get a seat. All services are held in French. Masses are also held throughout the week. More details are available at the Notre Dame de Paris official website." 8:00AM to 6:45PM on weekdays - open until 7:15PM at weekends. 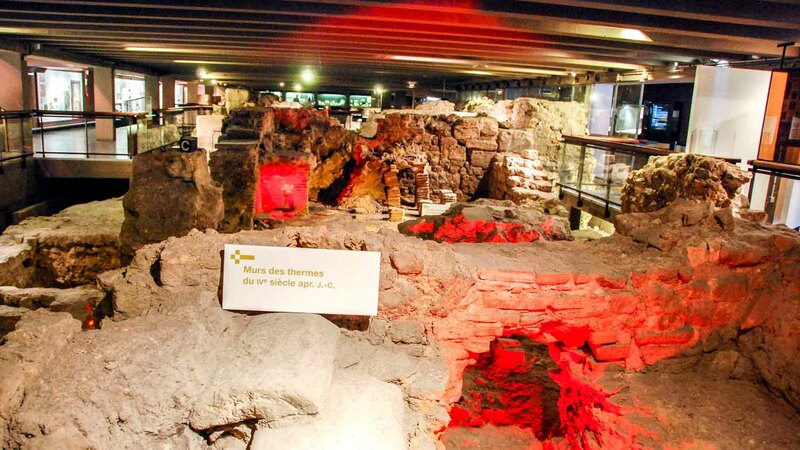 Access itself is free of charge, although it's a good idea to invest in a tour to get the most out of your visit. It's worth checking out these best-selling tours. There are several metro stations in the vicinity of Notre Dame - on lines 1, 4, 7, 10, 11, and 14. The most immediate is Cité on the 4 line. *Be prepared to wait in a line outside, especially on weekends. *Dress modestly - you are in a church, after all. Skip the line is the way to go. Although it doesn’t help you with the security line. This is the best way to experience Notre Dame! Our tour guide Françoise was truly great. She was very knowledgeable and answered all of our questions. She showed us so many little details about the Cathedral as well as giving us an overall history of Notre Dame and the city. Ste Chapelle & Conciergerie were absolutely awesome. The fleur de lis vaulted ceiling is so beautiful and the upper chapel stained glass windows are mind blowing. The Conciergerie’s history is amazing. Totally worth a visit. Do it! I was really glad about the possibility of skipping all the lines with the ticket. That was my only chance to see the beautiful Sainte Chapelle while having only 45 minutes left in Paris before heading to the airport. Thank you! Although this tour is most useful if you have a religious leaning, there’s enough in it to admire matters such as architecture and design as well as true historical fact and silly (humorous) nonsense! Well worth it.